In a representation submitted to Chief Election Commissioner Nasim Zaidi, former RSS leader KN Govindacharya on Friday sought denial of tax exemption to political parties if these fail to share details of cash deposits exceeding Rs.20,000. The representation was endorsed by PV Rajagopal of the Ekta Parishad and Sushri Rajshree Chowdhary (great granddaughter of Netaji Subhash Chandra Bose). “The Central Government’s resolve to end black money has to be supplemented by necessary steps by the ECI that has been, and should continue to be the torchbearer for transparency in our political system. It is only through strict implementation of laws that the menace of black money can be removed from our electoral system wherein the ECI, as a regulator, is duty bound to make the political parties accountable to the rule of law,” it stated. In the representation, Govindacharya praised the EC’s latest recommendation to ban anonymous donations above Rs.20,000, stating that the commission has earned its reputation of being an “upright” regulatory body which is pushing a fair electoral process. It made a reference to a gazette notification by the Ministry of Finance on 15 November, wherein cash deposit above Rs. 12.5 lakh in current account(s) of a person on or after 9 November, 2016, has to be explained in the statement of financial transaction as per the Income Tax Rules, 1962. It then brought to the notice of the ECI that political parties were depositing huge amounts of demonetised currency in their bank accounts. Govindacharya demanded that the Election Commission be informed of such deposits by the Reserve Bank of India. In case of failure on the part of political parties to provide details of such aggregate cash deposits, it suggested that these be debarred from getting the tax exemption benefits as per Section 13 A of Income Tax Act, 1961, and that action be initiated against them by the ECI as per Section 146 of the Representation of the People Act, 1951. 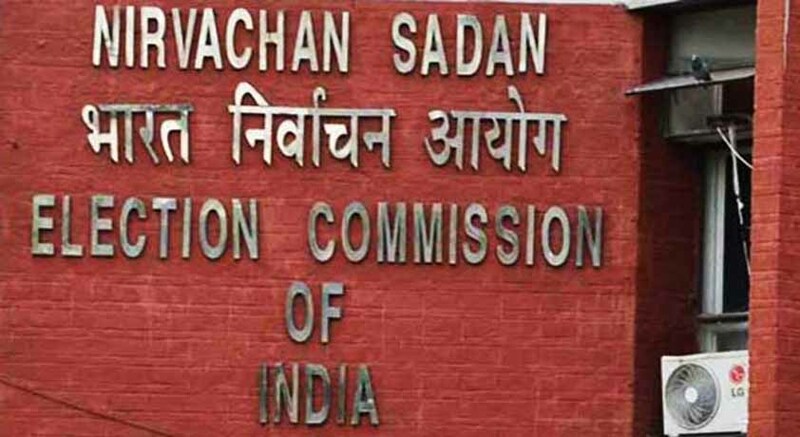 It cited another list of ECI instructions dated 19 November, 2014, wherein cash received by political parties was directed to be compulsorily deposited in its bank accounts within 10 working days. It, therefore, demanded that any deposit of demonetised currency after 18 November by political parties be disallowed. The representation further requested the ECI to issue a circular to the RBI and the CBDT to take cognizance of all deposits above Rs. 12.5 lakh in old currency by political parties, on or after 9 November.